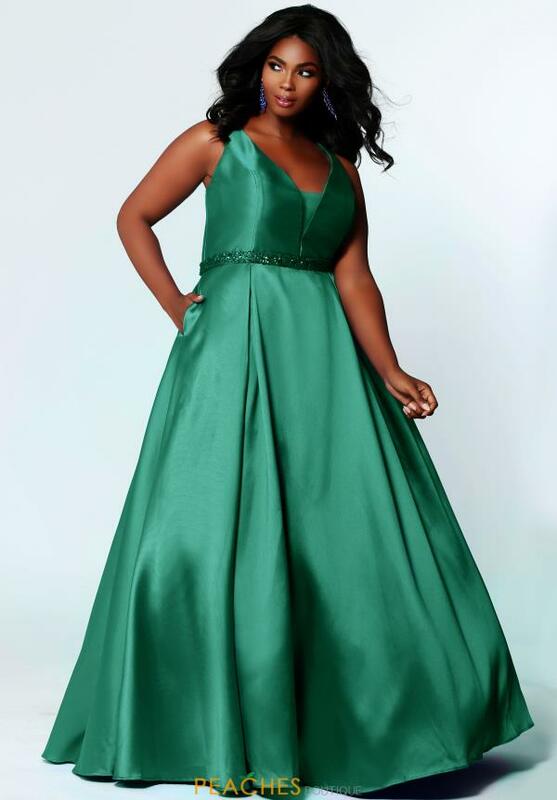 This a line plus size prom dress TE1912 is dramatic and eye catching. 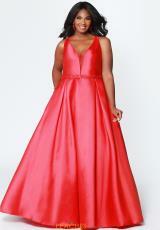 Featuring a plunging v neckline with thick straps that lead to a partially opened back. A beaded belt wraps around the waist giving that hour glass shape. T he a line silhouette is figure flattering and made form a smooth Mikado fabric. You wont want to miss out on this charming style.